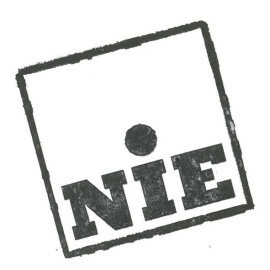 NIE started in 2001 when a group of us from different countries and backgrounds got together at a summer workshop. This turned into a show and a tour and a little bit after that into a company. There was a huge desire to start something of our own, to take our destiny into our own hands (at least our theatrical destiny). We borrowed a space in a village hall in a small rural Czech town called Mesno and rehearsed there all summer much to the bemusement of some of the locals. Our first three shows were made in the same way - taking time out from other work over the summer and living and working together to make a new show. We wanted to make work together combining different languages and styles and to share our work as widely as we possibly could. We wanted to find ways to play in different countries and make connections with other artists. The joy of coming together with a group of varied artists and finding new ways to create together is central to our way of working. We continue to be an international company trying to work across national boundaries. We have now taken our work all over Europe and to China, Japan, the USA and across the UK. We have started to make work specifically for children, young people and families and take an active part in ASSITEJ the international organisation for TYA-UK (Theatre for Young Audiences). ITC has been a really useful touch stone in professionalising the company. The forums and networking events are a healthy reminder to step out of our office, away from the computers and talk to people in our industry - catching up with old friends, and meeting new ones, as well as having some useful provocations. The independent sector remains the place of innovation and risk-taking because it doesn't always need to live or die by the bottom line. Despite all the cuts in funding from Local Authorities and Arts Council England which can be very demoralising, funding still allows us to experiment and develop our practice. Our successful NPO funding means that we will be able to build on our education offer and so next year we will be recruiting a TYA Associate to work with the company, delivering and making new projects with young people. The future of touring seems to be a big issue at the moment as venues and companies struggle to pay for it. We need to see more co-funding and co-producing. We need to focus on the future of the sector and the pathways for new artists and companies to find a way into the industry. It’s easy to look at the UK scene in isolation and feel concerned about its fragility. It’s important to remember that we have a very lively and diverse independent theatre scene and that it deserves support and funding. Family show Around the World in 80 Days at Lawrence Batley Theatre Huddersfield and The Key Theatre, Peterborough this February half term. Pim and Theo is touring to Northern Stage, Theatre Royal Plymouth Drum and at Birmingham REP s as part of Assitej World Congress 'On the Edge' Festival in July 2016.